Hello! Hope everyone is having a fantastic summer so far, hard not too really when the sun is shining so much! We are so spoilt this year, definitely making up for the dreaded beast from the East that zoomed in on us so rudely during March! Anyhow i just wanted to share some of my favourite pics from the last few weeks as we are nearly hitting August already and it will be time for school again in a few weeks! I have one lady to get through leaving cert year and then I’m done with parent/teacher meetings for good! These are just a mish mash of a few holiday photos, days at home and outfits I liked, so hope you enjoy…. 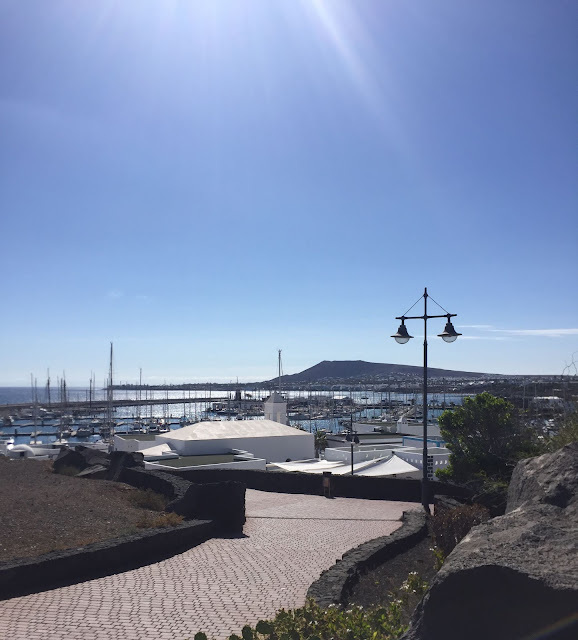 The beautiful marina in Puerto Blanca Lanzarote where we holidayed in June…. a beautiful resort with an abundance of fabulous shops and restaurants. 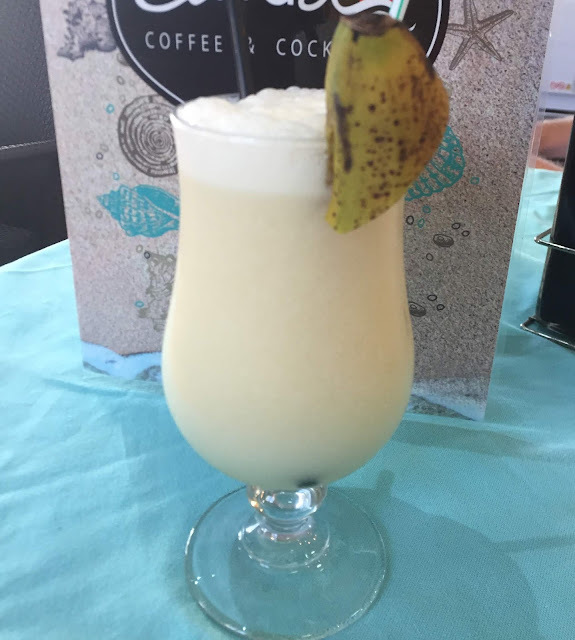 I’m rather partial to a good cocktail every now and then and can’t resist a cool Pina Colada…. I’m also loving my own garden space also this year and this corner is perfect for sipping my morning tea…. or enjoying a little tipple on a sunny evening after the bbq…. Dog walking with my beauties in a shady area on a gorgeous evening…..
Red and white stripes for a night out on hols…. I bought this top in Lanzarote and it is by Vila, one of my favourite brands I buy a lot of here at home. Yellow has been another favourite colour of mine this summer….adds a little extra boost on a sunny day! Sunset stroll after another beautiful day in Lanzarote …. 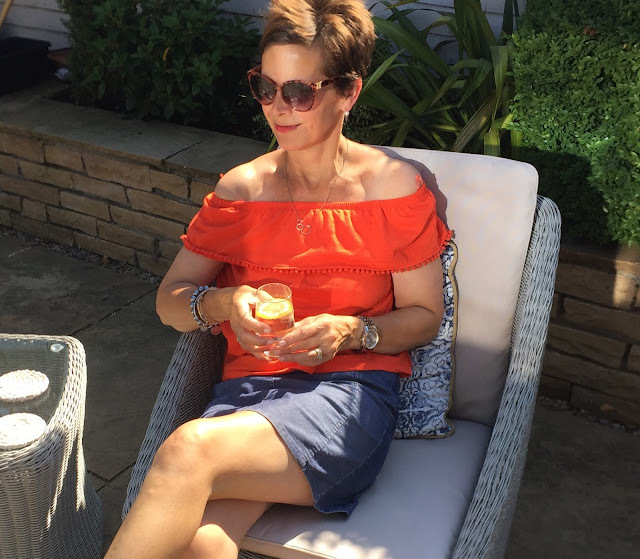 I hope you enjoyed this little update of my summer favourites and enjoy the next few weeks…no doubt it will be back to our regular weather before we know it! Next Post Back To The Trench….